In the waning days of the Obama Administration, the United States Environmental Protection Agency (EPA) published three draft Toxic Substances Control Act (TSCA) rules that were required by the Frank R. Lautenberg Chemical Safety for the 21st Century Act (the “Act”) to be finalized by June 22, 2017. EPA did, in fact, publish final versions of these three rules—the Risk Evaluation Rule, the Prioritization Rule, and the Inventory Reset Rule—in late July and early August of 2017, but the final versions differed in certain key respects from the draft rules. In general, the final versions of the Risk Evaluation Rule and the Prioritization Rule gave EPA additional flexibility regarding the “conditions of use” that EPA must consider in determining whether a new or existing chemical poses an unreasonable risk to human health or the environment. With respect to the Inventory Reset Rule, the final rule modified how companies can assert that the identity of a chemical qualifies as confidential business information. Environmental groups that had previously lauded the draft rules now asserted that the final rules failed to satisfy the requirements of the Act and ultimately filed seven challenges to the final rules in three different federal circuits (D.C., 4th and 9th). Those appeals are still in the briefing stage, and at the end of November 2017, the Ninth Circuit denied EPA’s motion to move the challenge pending before that court to the Fourth Circuit. 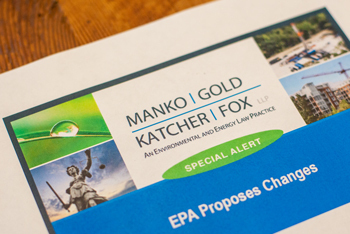 The courts hearing the foregoing challenges have not stayed any of the new rules, however, and EPA has continued to move forward with plans to implement them. For example, EPA continues to expect that manufacturers and importers of chemical substances will identify by February 7, 2018, whether substances listed on the current TSCA Inventory are active in U.S. commerce, with processors required to supplement that list by October 5, 2018. And at the end of 2017, EPA released two documents and held two public meetings concerning the Agency’s future approaches towards the review of new chemicals and the identification of existing chemicals for priority risk reviews. EPA is taking public comment on the new chemicals framework document and the prioritization document until January 20 and January 25, 2018, respectively. It is also working on a TSCA mercury reporting rule which is addressed here. In short, 2018 promises to be another significant year with respect to implementation of the fundamental amendments to the TSCA regulatory framework as required by the sweeping reforms contained in the Act.